Click the orange button below to listen. Please be patient if it takes a few moments to load. Note: the piano music I’m playing is slightly different than the sheet music above. Good-night, sweet Jesus, guard us in our sleep. Our souls and bodies in Thy love keep. Waking or sleeping, be Thou our morning light. Dear gentle Saviour, good-night, good-night. You are our shepherd, Lord; we are your sheep. When we awaken, be Thou our morning light. 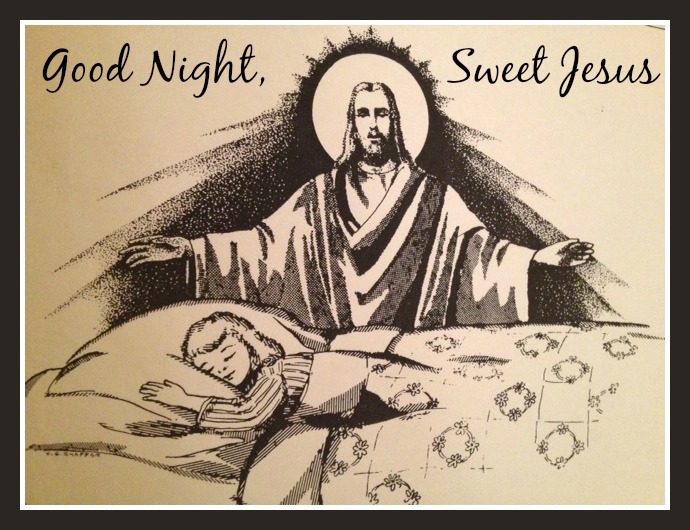 Good-night, dear Jesus. Good-night. Good-night.